Starting with Connectify Hotspot version 2017, you now have brand new universal ad blocking capabilities which will help devices connected to your hotspot surf the Internet without distractions from annoying ads as well as minimize page load times and save on data usage. And yes, not only does it block ads in browsers, but it eliminates ads from mobile apps as well! It’s a win/win & win solution! These days almost every website out there has ads, whether it’s web banners, pictures, animations, videos, pop-up windows, etc. Some of these make it difficult for visitors to get the information they want from a website, and can slow down the computer’s performance or even push malware. To a limited degree, most modern browsers offer some type of ad blocking (especially for pop-up windows), but it’s often not enough. 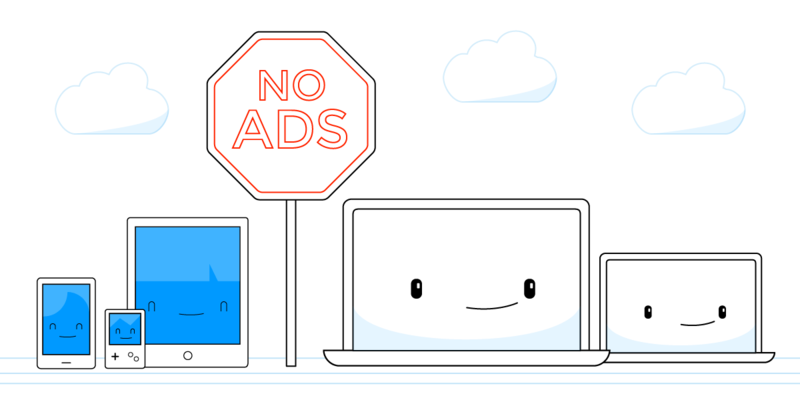 Connectify’s Ad Blocking runs at the DNS level, making the servers that deliver ads unreachable for your clients. This means that it not only blocks ads in the browser, it can often block ads in other apps! This makes it a great solution if you’re looking for a whole house ad blocker. How much are ads slowing down my browsing? The conclusion: Nearly 60% of resources on major websites are ads! Ad blocking is available to clients of a host computer running Connectify Hotspot. So, if you’re sharing your Internet connection via Wi-Fi with other devices, your client devices will experience the Internet without any ads. To activate the ad blocking feature for the clients connecting to your hotspot, just make sure the “Ad Blocker” option is enabled in the “Firewall” section of Connectify Hotspot, when you start sharing the Internet with your devices. Once it’s on and your hotspot is started, you’ll see the Ad Block stats at the top of the Clients tab. It will show how many ads and ad trackers have been blocked this session, and in all time. These numbers get big fast! Why use Ad Blocking with Connectify Hotspot? Bottom line – upgrade to the latest version of Connectify Hotspot to offer all your devices ad-free Internet and increase their performance from all points of view.